Tough and durable, this premium four-inch wide fabric tape from the "Bookguard" brand is a hefty 13-mils thick, which makes it substantially strong with a 45 pounds-per-inch tensile strength. The tape has a matte finish, and it's made of cotton cloth with a vinyl coating. Its high resistance to abrasion and abuse (due to its high thread count) over time ensures that it wont crack or easily fall apart - there's a reason "Bookguard" has been a favorite book-binding tape for more than 30 years! The cloth material of the tape is highly-conformable to most surfaces, and you can easily write on the tape's surface with a felt-tip marker. Its ultra-aggressive adhesive permanently adheres to the most difficult surfaces, including vinyl. Each finished roll of "Bookguard Premium-Cloth Book Repair Tape" is cleanly shrink wrapped before shipping. Your book may be old, but it will never be outdated. With the XFasten Fabric Book Repair Tape, we have made a solution to make your treasure cove of knowledge age well. 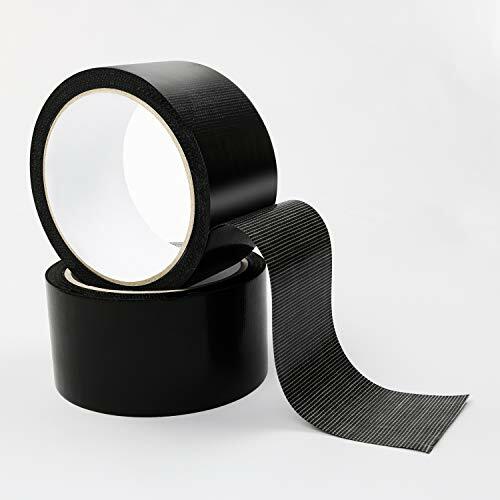 The XFasten Black Cloth Bookbinding Repair Tape is a heavy-duty and high tensile strength linen hinging tape for books that features an aesthetically smooth surface that matches well on both hardbound, paperback and leather book covers. It can withstand high temperature and humidity environments, making your book edges always looking crisp and pristine! 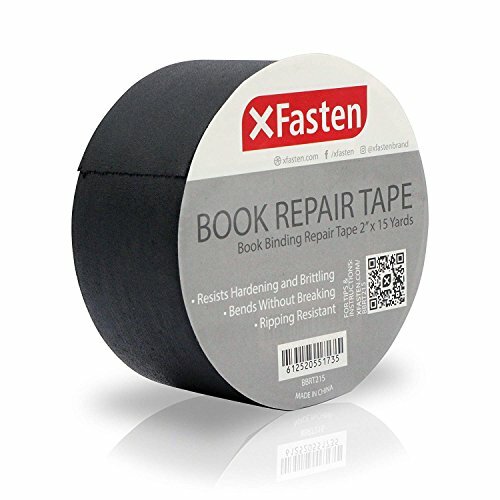 Why Choose The XFasten Black Cloth Repair Tape for Books? Designed to take a beating. Laboratory tested to withstand up to 9,000-page turn actions, thus withstanding even harsh handling. Manufactured to last. Resists termite damage and other natural factors such as high heat, humidity, and moisture. This repair tape can protect your precious book even under harsh conditions. Aesthetically pleasing. There is something about books and covers that make us appreciate hard copies than its electronic counterpart. The XFasten Adhesive Fabric Binding Tape's smooth linen surface compliments a book cover's texture so well that it is just simply great to look at. The Mess-Free Adhesive does Magic. 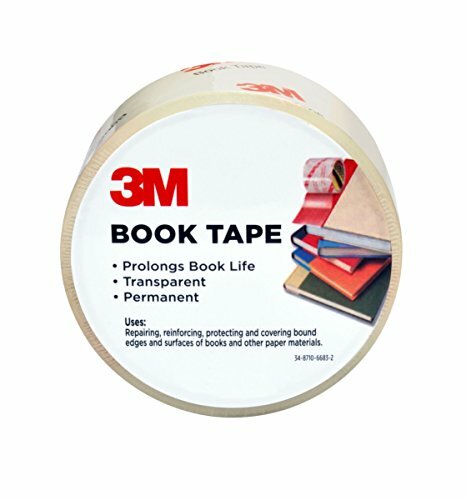 A lot of Book repair tapes' adhesive on the market ooze or dry out over time- causing even more damage to your precious books. XFasten is different. We honed our adhesive to be acid-free and archival safe so that it does not degrade over time, keeping your book at excellent condition. RESTORE your precious book with the XFasten Fabric Book Repair Tape. Features a tough linen backing that exceeds the tensile strength of many book covers, enabling your old book to be restored to its PRISTINE condition. 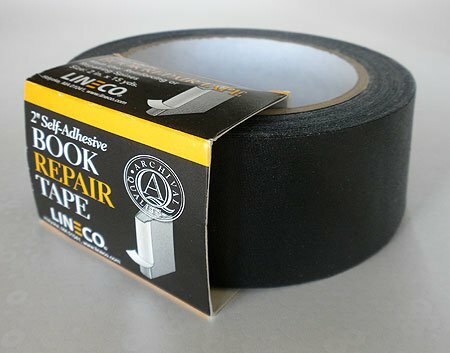 Equipped with a mess-free adhesive that doesn't degrade, dry or ooze out on extreme humidity and temperature, empowering this black cloth bookbinding repair tape to outlast any beating! 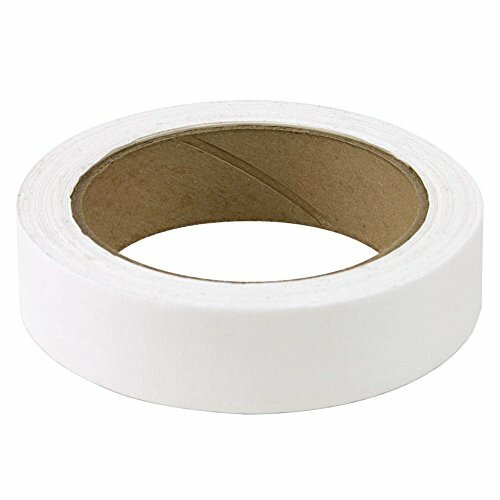 Heavy-duty cloth backing is laboratory-rated to withstand stress for over 9,000 page turn actions without tearing, making this linen hinging tape for books the toughest fabric repair tape to date. Smooth surface is aesthetically designed to match hardbound book cover materials, enabling this library book binder tape to be at par with pristine book binders. Ideal for old books, library materials, bibles, leather covers and paperback books that have aged. DESIGNED TO CARE. 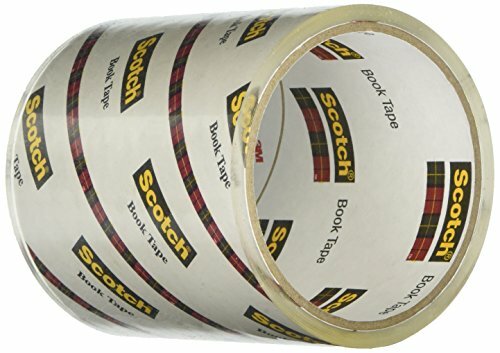 This is an Acid-Free Repair Tape for books, meaning it is archival safe and will not damage even sensitive book materials. Resists termite damage and harms caused by bad handling or extreme environmental conditions. 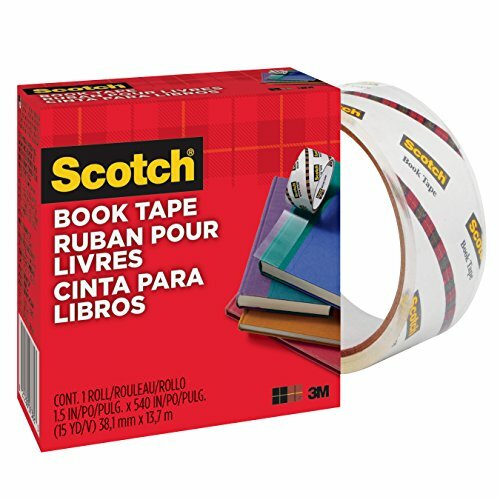 Repairs, reinforces and protects books and other paper materials. Excellent for repairing, reinforcing, protecting and covering bound edges and surfaces. Use on books, magazines, pamphlets, record album jackets and more. Adhesive: Permanent, high-tack; Material: 13-mil vinyl-coated cotton cloth with 45 lbs. tensile strength; 3" core; Dimensions: 1"W x 15yds. 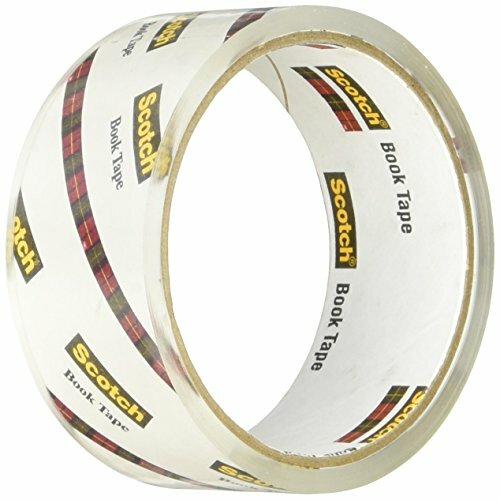 This 2 inch wide tape is mainly used for reinforcing or repairing book spines. 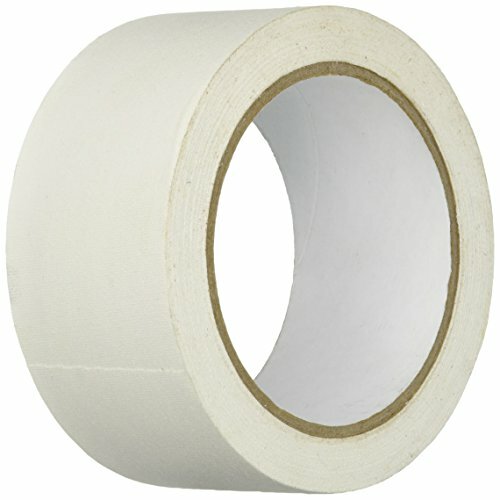 Self adhesive archival quality heavy duty tape. There are 15 yards per roll. Tough and durable, this premium two-inch wide fabric tape from the "Bookguard" brand is a hefty 13-mils thick, which makes it substantially strong with a 45 pounds-per-inch tensile strength. The tape has a matte finish, and it's made of cotton cloth with a vinyl coating. Its high resistance to abrasion and abuse (due to its high thread count) over time ensures that it wont crack or easily fall apart - there's a reason "Bookguard" has been a favorite book-binding tape for more than 30 years! The cloth material of the tape is highly-conformable to most surfaces, and you can easily write on the tape's surface with a felt-tip marker. Its ultra-aggressive adhesive permanently adheres to the most difficult surfaces, including vinyl. Each finished roll of "Bookguard Premium-Cloth Book Repair Tape" is cleanly shrink wrapped before shipping. Tough and durable, this premium one-inch wide fabric tape from the "Bookguard" brand is a hefty 13-mils thick, which makes it substantially strong with a 45 pounds-per-inch tensile strength. The tape has a matte finish, and it's made of cotton cloth with a vinyl coating. Its high resistance to abrasion and abuse (due to its high thread count) over time ensures that it wont crack or easily fall apart - there's a reason "Bookguard" has been a favorite book-binding tape for more than 30 years! 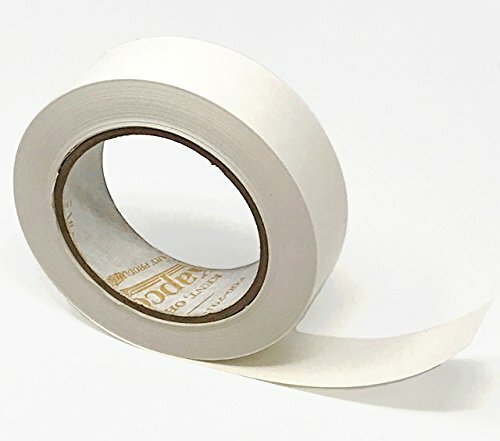 The brown cloth material of the tape is highly-conformable to most surfaces, and you can easily write on the tape's surface with a felt-tip marker. Its ultra-aggressive adhesive permanently adheres to the most difficult surfaces, including vinyl. Each finished roll of "Bookguard Premium-Cloth Book Repair Tape" is cleanly shrink wrapped before shipping. Easy bind ii - 1 1/4" x 100 ft. repair and reinforce book spines and covers. 2 mil clear, glossy polyester ph. neutral non-yellowing adhesive good for hardbacks, paperbacks, magazines, maps, folders, large documents and more exclusive 3/8" peel 'n place centering strip. 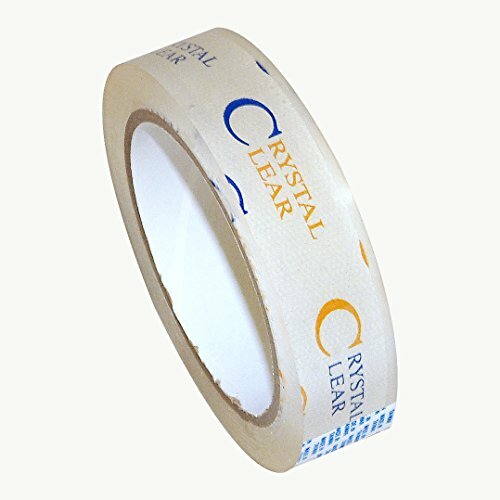 JVCC BOOK-20CC Crystal Clear Book Repair Tape is an ultra clear polypropylene film tape with a non-yellowing solvent-based acrylic adhesive. It is used for book repair, label protection and lamination. JVCC BOOK-20CC is also UV resistant. If not otherwise specified widths shown in dropdown are in inches. NOTES: Sizes shipped will typically be the tape industry standard metric-cut sizes, i.e. 24mm for each 1 inch of nominal tape width ordered (rolls are approximately 5% narrower than the nominal size). This product's actual size is 25mm wide. This tape is typically cut to width from log rolls so most sizes ship on non-branded plain white cores. 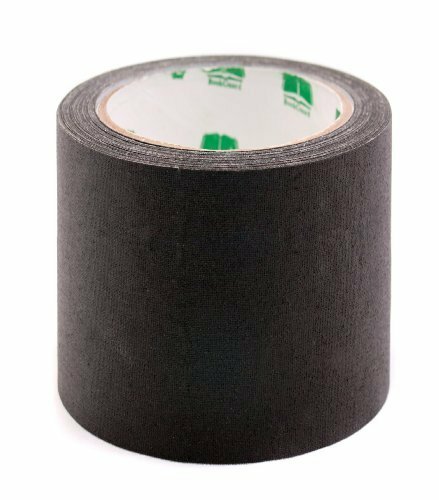 This is a non-reflective/matte bookbinding tape, vinyl-coated cotton cloth, and synthetic rubber resin adhesive. Has strong peeling force, strong viscosity, tensile strength, oil resistant wax, leakproof, waterproof, anti-corrosion. 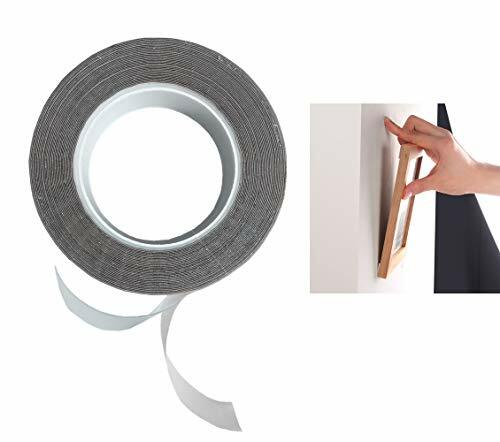 Insulation and high-adhesive tape can be used not only as a bookbinding tape, but also widely used in packaging, bundling, stitching, splicing, and heat preservation. 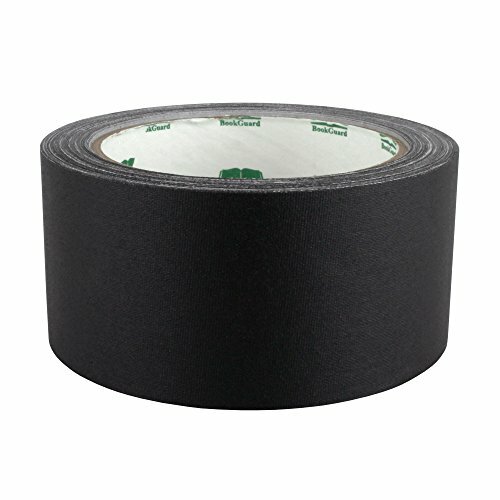 The package includes two rolls of black padding tape, 2 X 10 Yards Per Roll, a total of 20 yards. These tape offers the very strongest linen backing designed specifically for the purpose of saving your books and keeping them in immaculate condition for years to come. Extremely strong and high quality to ensure your delicate antique aged books lasts forever. Our tape is damage free, built to last and keep your books in great condition. This Vinyl Floor Marking Safety & Warning Tape is a product used for marking of hazardous areas and exits complying with the OSHA requirements for these purposes, and can be used in the industry and at home, for marking of working, caution or dangerous areas. Applications: It's used for striping and warning, marking of exits and hazardous areas by complying to OSHA requirements. Technical details: 6 mil conformable soft PVC Vinyl, synthetic rubber adhesive, self extinguishing, 13.7 oz/in adhesion, 15 lbs/in tensile, 210% elongation at break, 14 to 176 fahrenheit degrees, of temperature resistance, doesn't corrode copper, brass, steel or aluminum and a 3" neutral paper core. 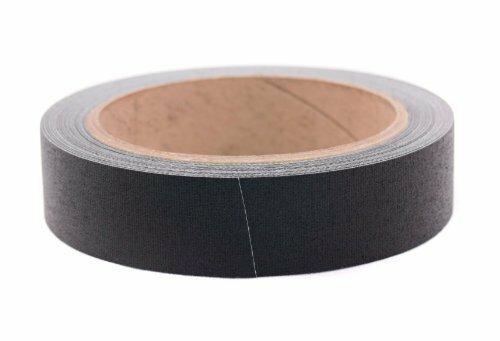 IMPORTANT NOTE: In the tape industry, the sizes will always be the standard metric sizes, meaning for example that 12mm must be for every 1/2 inch of nominal value tape width (Rolls are given or taken a 5% wide or narrow than the nominal size). Super sticky pad are super easy to use and make hanging any object much easier. Simply peel off the backing from the Pad and stick, and pads will hold the object tight. Each pad holds up to 8 pounds, so you'll be able to hang all of the objects that you have. 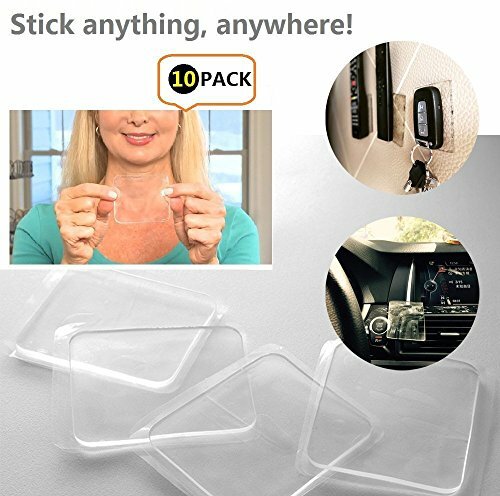 PU Gel pad sticker gel pads are great for use in the car, stick you phone or GPS for easy viewing and charging!Even small tablets and e-readers are great for fixate gel pads. Imagine all the possibilities when you can stick anything, anywhere. Notice: Long-term hold heavy object vertical angle need more gel pads. 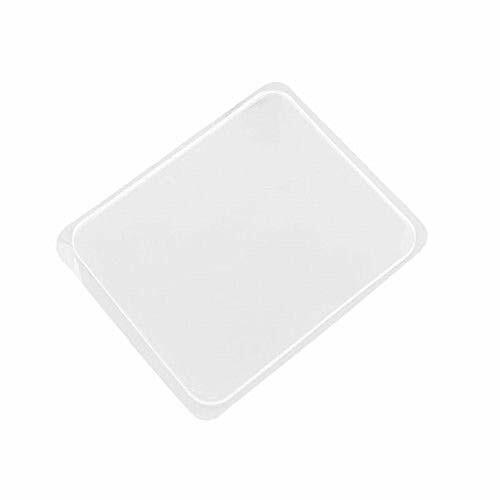 This products are thin and malleable, which makes them great for sticking unusual or irregular shapes as well as hiding keys, organizing cables and sticking to skateboards. Stick it to glass, mirrors, whiteboards, metal, kitchen cabinets or tile etc. Holds it all: Eyeglasses,Ez Pass/Cell Phone,Hooks,iPad in Kitchen,Tools,Memo Pads on Fridge, Hold Down Rugs,Bath Accessories Pads will hang and hold objects anywhere in just a matter of seconds.The Hanging Pads are also reusable and Washable.Simply rinse and they are ready to use again - up to 1,000 times! Features: - Removable double sided super grip. - Hang any object, anywhere. 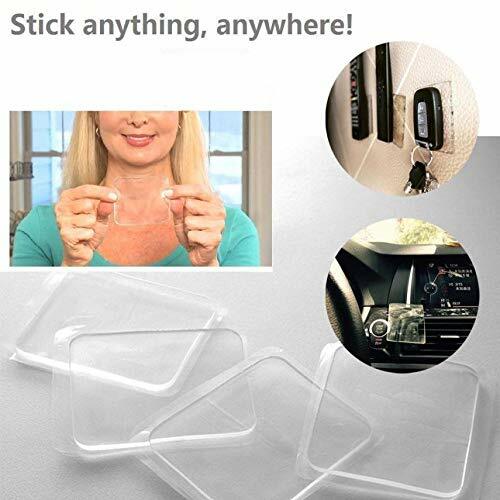 - Easily mount objects anywhere, just peel, stick and grip! - Washable and reusable up to 1000 times. - Use for indoor and outdoor. - Won't leave behind any residue or damage.